Not everyone is fortunate to have a 401(k) plan at work. While many large employers offer those tax-deferred retirement benefits, some smaller ones don’t. And when you’re self-employed, the only person you can count on to think about retirement is you. So what options are out there to prepare for retirement when you don’t have a 401(k) plan? After working in the financial industry for 25 years, Cary Carbonaro was tired of seeing her girlfriends make the same money mistakes over and over again. “One of my dear friends is terrible with money… Now she’s in her 40s, and not having financial literacy has hurt her.” So Carbonaro, a financial planner, decided to write a book, “The Money Queen’s Guide: For Women Who Want to Build Wealth and Banish Fear,” that will be released this month. The New Age of Advice: Who Inspired You? When you hit your 50s, the time for financial fumbles is past. If not now, when? But according to the Prosper Financial Wellness Study, almost 33 percent of Americans over 55 don’t think about long term financial stability and 60 percent are not confident they could absorb a financial shock. At this life stage, the must-do list is sizable. Here’s what should be at the top of your agenda. Position yourself for a debt-free retirement. Put to pasture any lingering credit card and student loan debt. “The sooner you pay off the mortgage, the easier your life will be in retirement,” says Katie Ross, education and development manager for American Consumer Credit Counseling in Newton, Massachusetts. Play catch up. Max out on retirement savings plans and take advantage of catch-up provisions that allow those 50 and older to sock away an extra $6,000 in their 401k and $1,000 in a traditional or Roth IRA. “These years are your last chance to beef up your nest egg,” says Robert Kleinman, a certified financial planner with Kleinman Financial Services in Port Washington. Make big decisions. Consider long term care insurance. “The rates are lower and you may be able to deduct $1,460 on your tax return if you meet certain criteria,” says Cary Carbonaro, author of The Money Queen’s Guide. If you don’t have a will and other estate planning documents, get them in place or update existing documents if needed. Cary is #7 and rising! Cary Carbonaro shares tips for addressing a retirement shortfall. Cary Carbonaro explains how the federal rate hike may present obstacles for Central Florida. 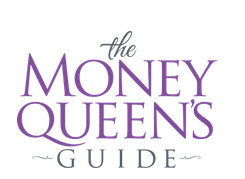 The Money Queen’s Guide author and member of The Women’s Giving Alliance of the Community Foundation of South Lake Florida, Cary Carbonaro explains how to change the way women think about philanthropy.